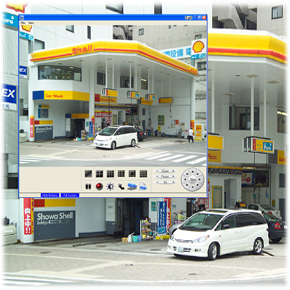 The SESAM Solution for National Gasoline Stations is the most powerful tool for managing fire alarm systems, securing and supervising the gasoline stations, especially self-service gasoline stations. Self-service gasoline stations have sparked a boom all over the world; they are rapidly making inroads, more than tripling in number last year alone. SESAM provides the best solution for monitoring and controlling these highly sensitive stations. As soon as pumping fuel is over, the person approaches to take the nozzle out and put it back in place; a vocal message will be played instructing him to go to the payment stand. A camera will start recording the car’s license plate and the person pumping the fuel, which will be captured and saved to the archive. This will ensure that each and every pumping of fuel is documented and saved. The ability to restore events from the video archive and to locate a certain car’s license plate will minimize the number of runaways and thefts. This solution integrates security and video, allows restoring events easily and rapidly, simply by viewing data recorded digitally and saved on the disk. This way customers’ claims will be resolved easily by using the reliable documentation of SESAM.